As a general contractor, we can help you realize your dreams by providing complete installation of your fireplace. Our expert crew can remove that tired old “builders box” zero clearance fireplace, re-frame the opening and install your new furnace rated direct vent fireplace in as little as one day. Our services include framing, drywall, venting, stucco, masonry, gas plumbing and electrical. We also do expert masonry earthquake damage repair. 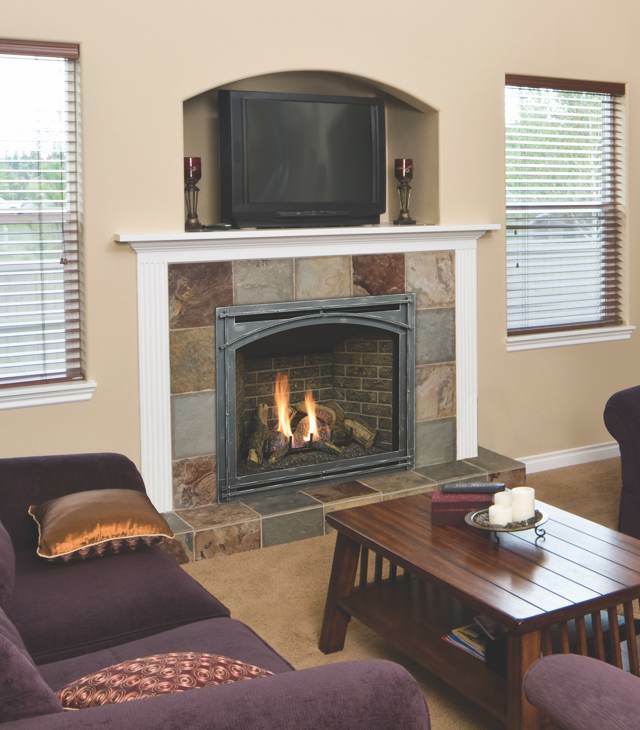 We can provide a wood or stone mantel, giving your fireplace that finishing touch. Come in to our showroom to see examples and talk to us about installing a gas fireplace from Marquis, Kingsman, Enviro, Napoleon, Kozy Heat, Regency, Majestic, Solas Comtemporary Fire, and Montigo.